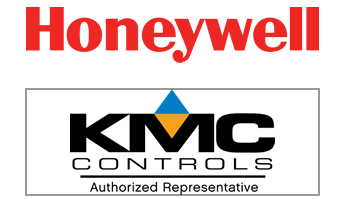 Sound Energy System | A Control Contractor in Tacoma WA. A competitive, advanced technology systems contractor specializing in temperature controls, energy management and building automation. Sound Energy Systems is a leading control systems integration firm, with extensive experience providing design, construction, and programming services for commercial and industrial facility control systems. Our specialized expertise in all phases of a project makes for superior quality control and allows us to deliver competitive, turn-key services for your project. Our clients include a wide variety of industries including aerospace, hospitals, hotels, utility companies, military bases, schools, commercial high-rise office buildings, food service, data centers, laboratory environments, national retail and many more. Sound Energy Systems is a local employee owned company with a talented staff recognized for being experienced, responsive and flexible. We leverage computer technology to increase productivity and provide better communications to each team member. Proper manpower, advanced planning, distributor level material purchases and value engineering turn competitive estimates into the highest value control system solutions available. Doing the job right the first time with early trade coordination, using the right materials, employing qualified craftsmen and performing within the scheduled time; we're always looking for ways to exceed our customer's expectations and deliver more value for their money, That's our contribution to your team. Our company has been providing innovative solutions for 65 years across all aspects of the electrical industry. We pride ourselves on being team players that bring value to all phases of a project, each and every time.